While we’re fairly sure Puyol shrugged it straight off (this is a man who gladly staples his own head wounds shut after all! ), that right there would be a career-ender for us. It was build up to Second goal scored by Ronaldo. I feared for the worst. That was embarrasing – no defender wants to be dribbled like that leading to a goal. am so happy that his critics were brought to test again. Ronald is the best player of this generation. 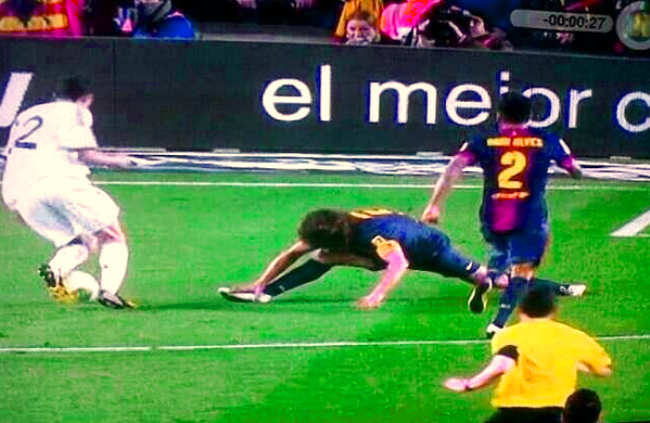 Di Maria owned Puyol! Di Maria had a great game…a man on a mission. de maria is the best player in the world and he is fast qualitative than other players. realmadrid is the best team in the world of football and christiano ronaldo is the best in this generation but denial and hatred make him lose everything and he is a genius no doubt about that.